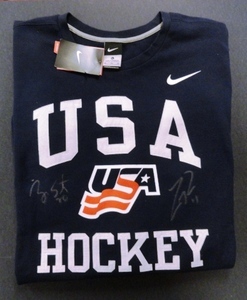 NHL Auctions and the Meigray Group are giving you the chance to bid on game worn jerseys and goal pucks from the 2011 Kelly Cup Finals!! Choose from jerseys worn by Wes Goldie, Scott Burt, Brian Swanson, Curtis Fraser and more!! Also game worn jerseys from the ECHL regular season by Cincinnati Cyclones and Wheeling Nailers!! 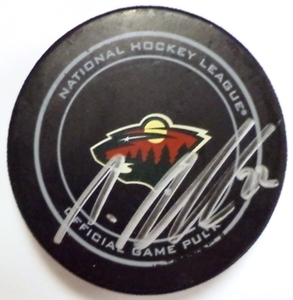 NHL Auctions and the Minnesota Wild are giving you the chance to bid on game-used pucks from the 2009-2010 season!! 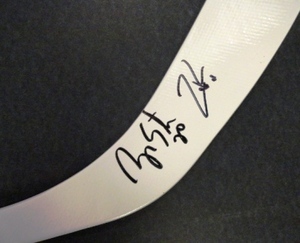 Choose from game-used goal puck signed by Owen Nolan, game-used goal puck signed by Brett Burns, game-used goal puck signed by Andrew Ebbett, game-used goal puck signed by Eric Belanger and more!! 2010 Eastern Conference Final Game-Used Pucks!! NHL Auctions and the MeiGray Group are giving you the chance to bid on game-used Flyers vs. Canadiens 2010 Eastern Conference Final pucks!! Choose from a Jeff Carter Game 5 goal puck, a puck used during the first period from Game 1, a Brian Gionta Game 5 goal puck, a puck used during the third period in Game 2 and more!! ECHL 2010 Kelly Cup Finals Game-Worn Jerseys & Game-Used Pucks!! NHL Auctions and the MeiGray Group are giving you the chance to bid on game-worn jerseys and game-used pucks from the ECHL 2010 Kelly Cup Final!! Choose from jerseys worn by Barret Ehgoetz of the Cincinnati Cyclones, Mark McCutcheon of the Idaho Steelheads, a game 2 game-used puck and more!! 2010 NHL Winter Classic Game-Worn Jerseys & Game-Used Pucks!! NHL Auctions and the MeiGray Group are giving you the chance to bid on game-worn jerseys and game-used pucks from the 2010 NHL Winter Classic. Choose from jerseys worn by Daniel Briere, Mark Recchi, Daniel Carcillo, Patrice Bergeron and more! !